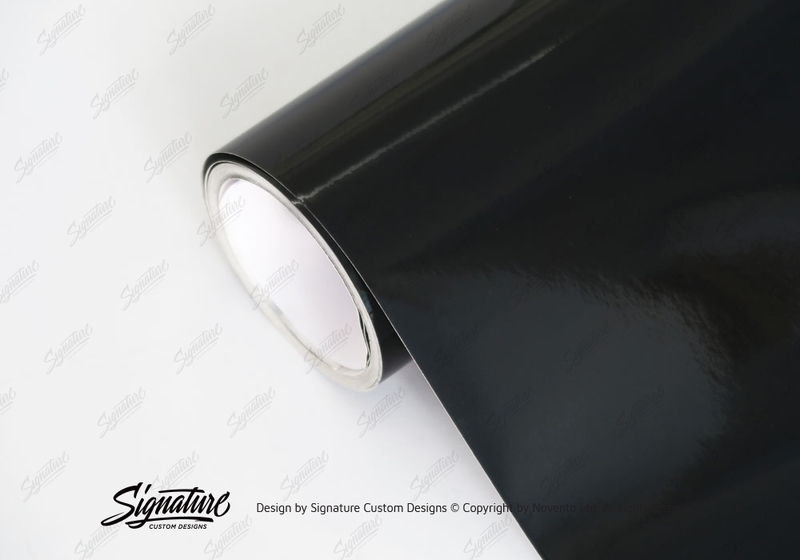 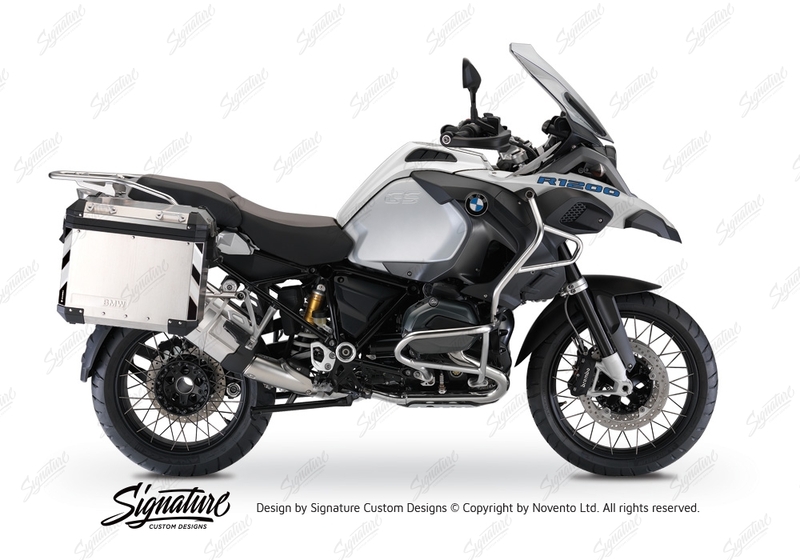 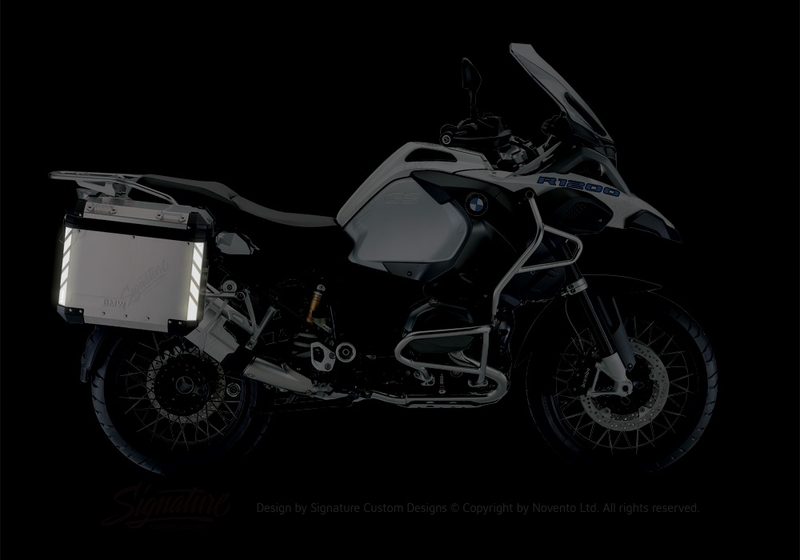 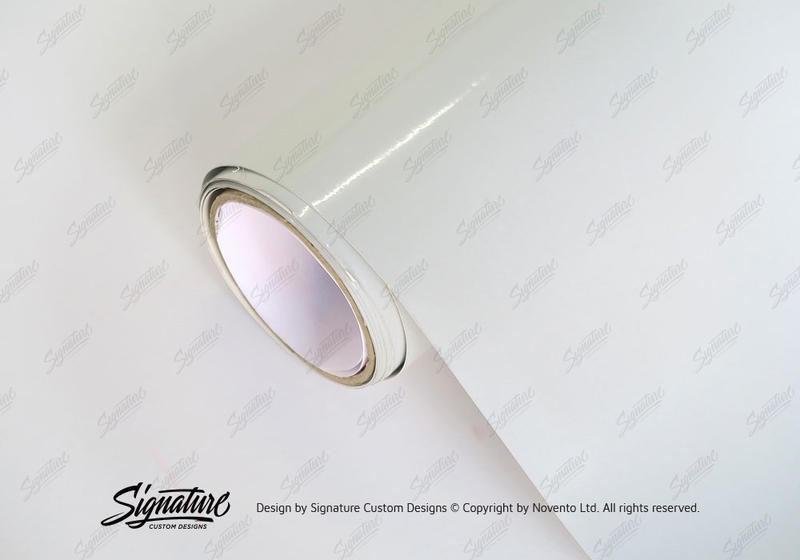 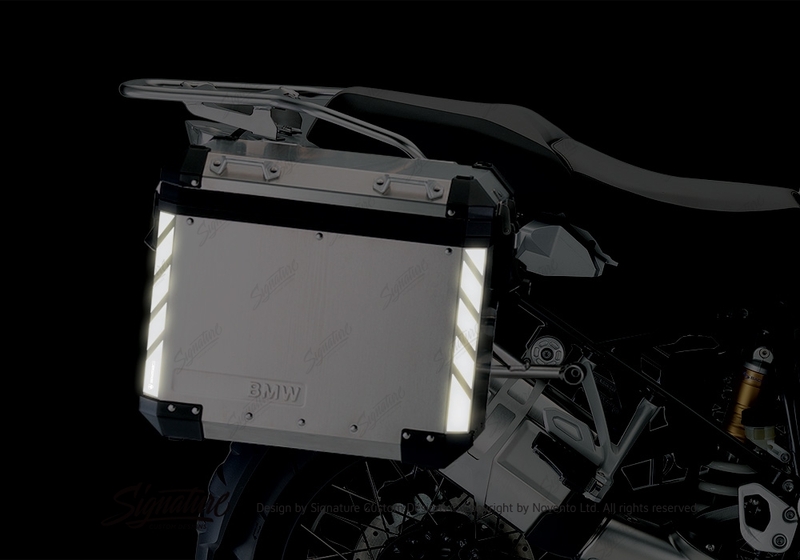 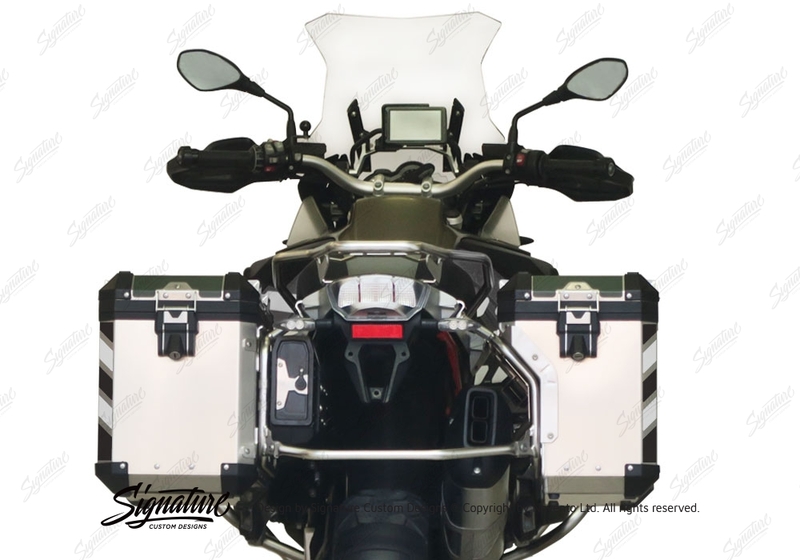 Signature Custom Designs reflective Stripes, gives to your BMW Aluminum Side Panniers visibility during the night. 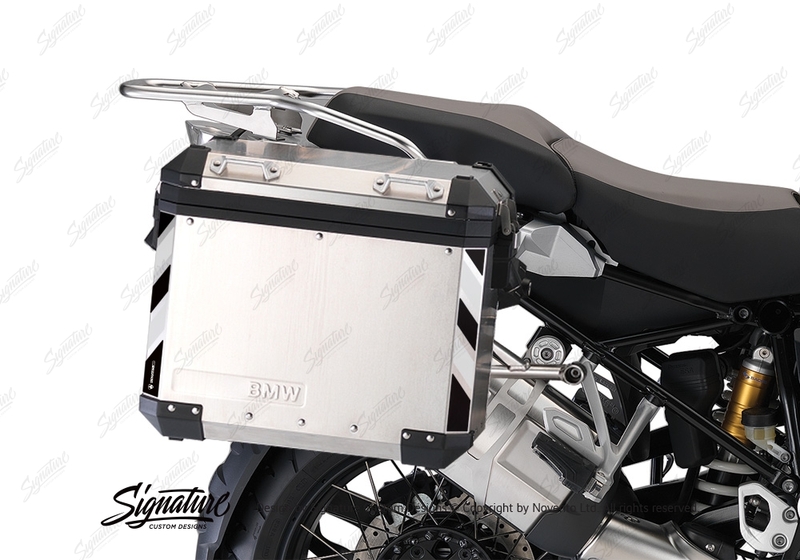 Fits 2006+ BMW Aluminum Panniers at the external side. 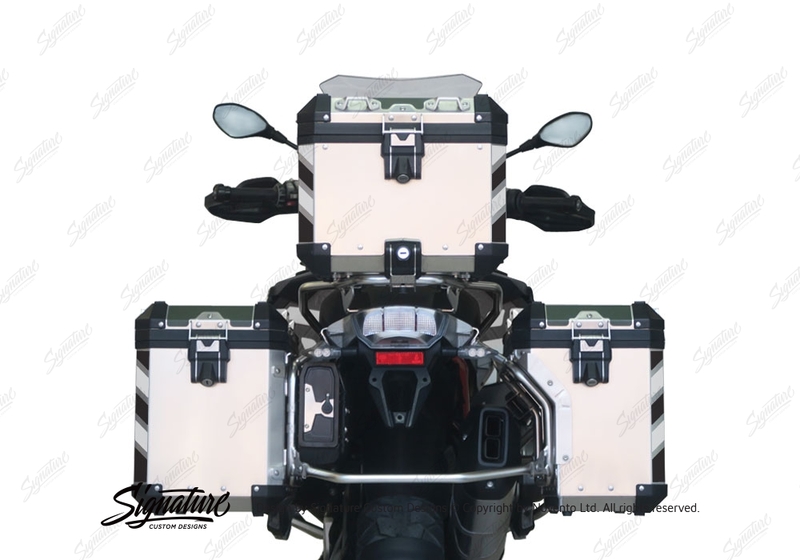 4 reflective stripes size 3.7×24.5cm (2 for each pannier).